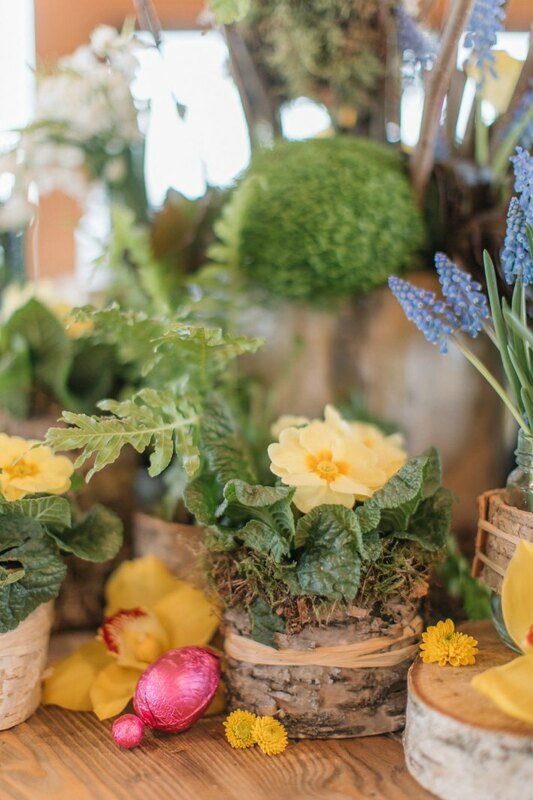 When we were asked the other day to put together a few Spring floral collections to echo the essence of Easter 2018 we set about creating something that combined innocence, awe and wonder with a sense of new beginning. 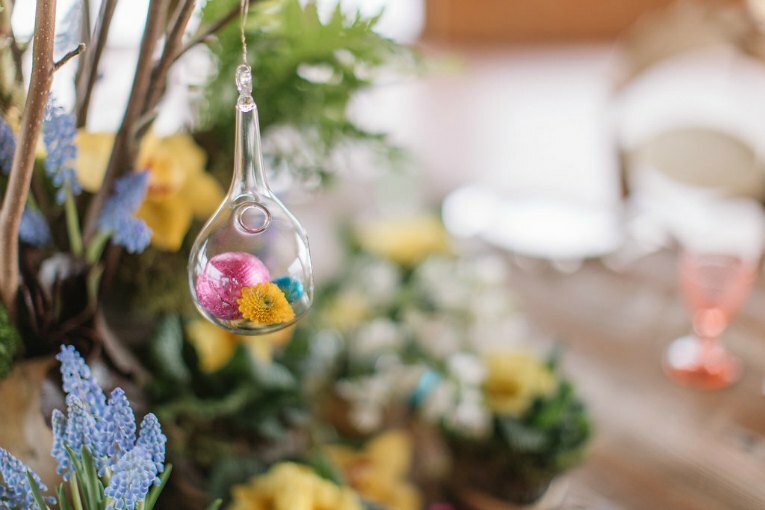 We wanted flowers that would excite and combine childhood fun and brightly wrapped eggs with something more delicate and subtle. So far, this year has been besieged by cold weather and I’m sure we’re not alone in feeling that Spring is long overdue. 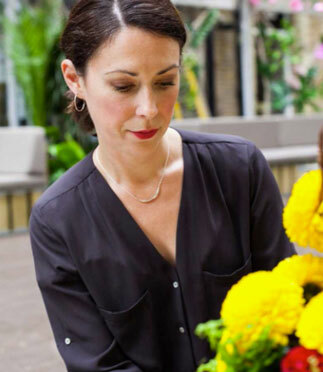 We wanted our floral designs to hint at the arrival of Spring and thought what better way than putting these gorgeous, often overlooked, paler coloured flowers centre stage. 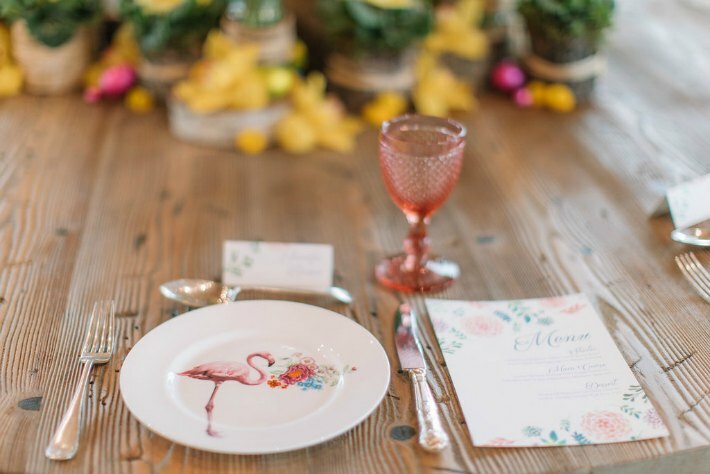 For us, the colours associated with Springtime and Easter are a mix of yellow, white, blue and pink. 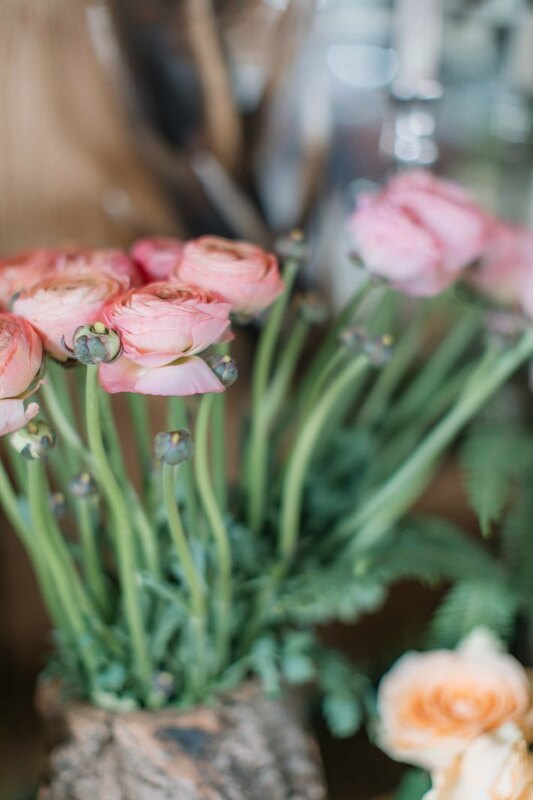 For this shoot, we wanted to focus on quirkier versions of these traditional shades. 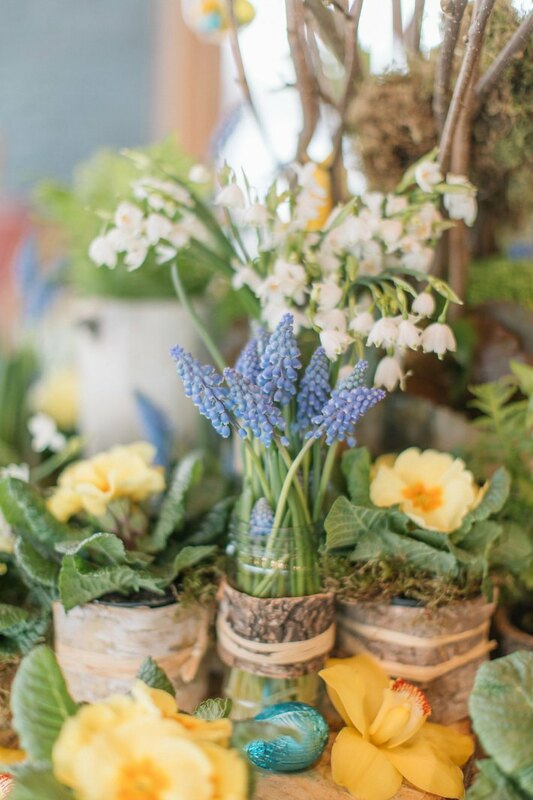 The stars of our show were undoubtedly a cast of cute faced, butter yellow primroses; the pure white, lime flecked bells of the snowflake flower; the glowing blue rounded pods of muscari and the flamingo pink, tutu-petalled ranunculus. 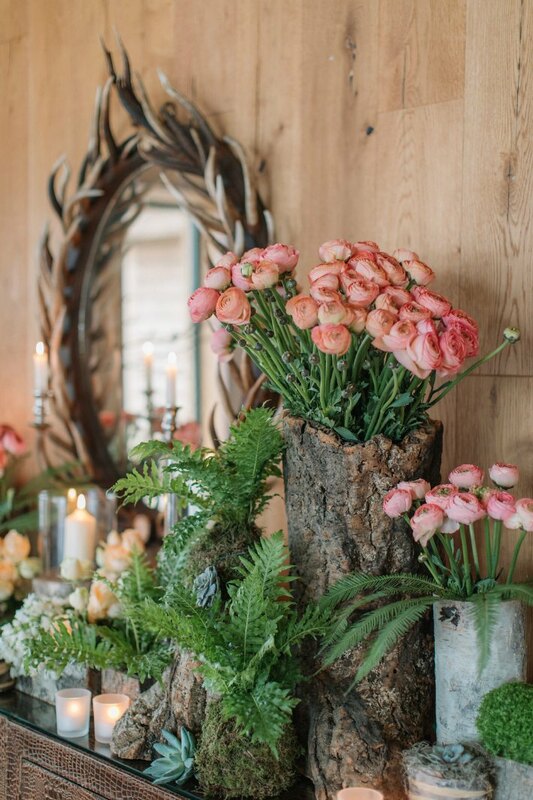 However, the show would not be complete without a luscious backdrop of vivid woodland ferns which were given a helping hand by a few super hardy chrysanthemum, rose and orchid flowers. 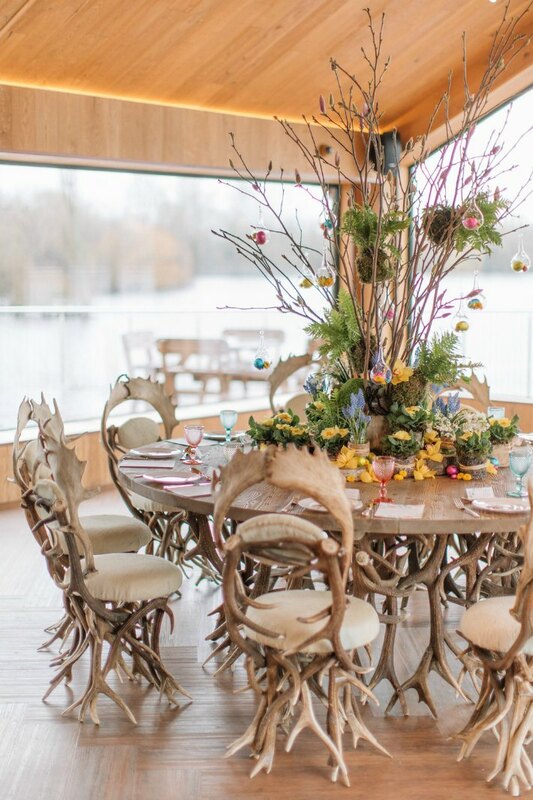 The wonderful lodge style details of our venue, Amber Lakes such as the antler and horn inspired dining chairs and mirror frames added perfectly to the feel of the shoot. 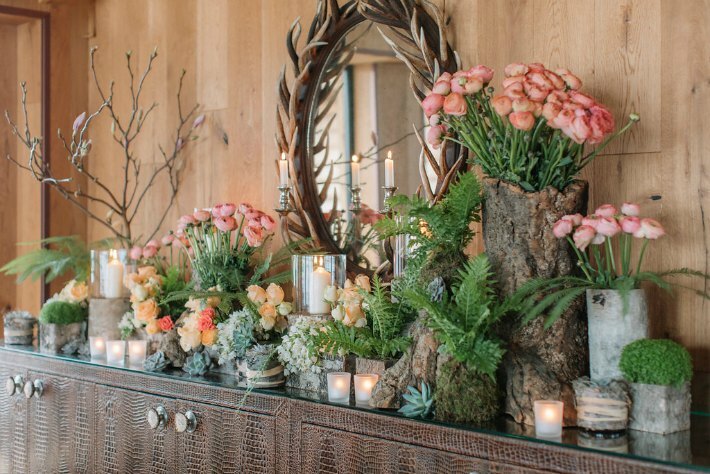 Combining these with our own bark covered props and containers plus the most stunning branches of magnolia created the perfect setting to display the unsung heroes of the spring floral world. 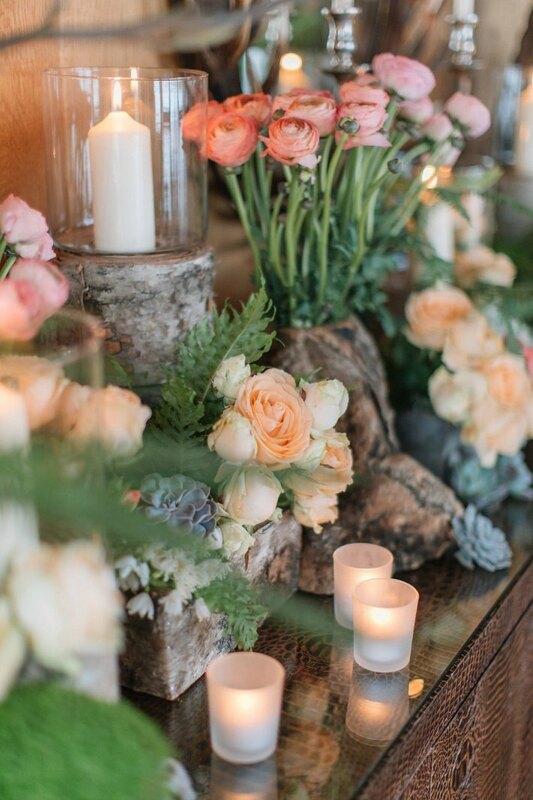 Add a few hanging glass globes, touches of moss-bound kokedama and succulent heads and we were in our venue styling element! 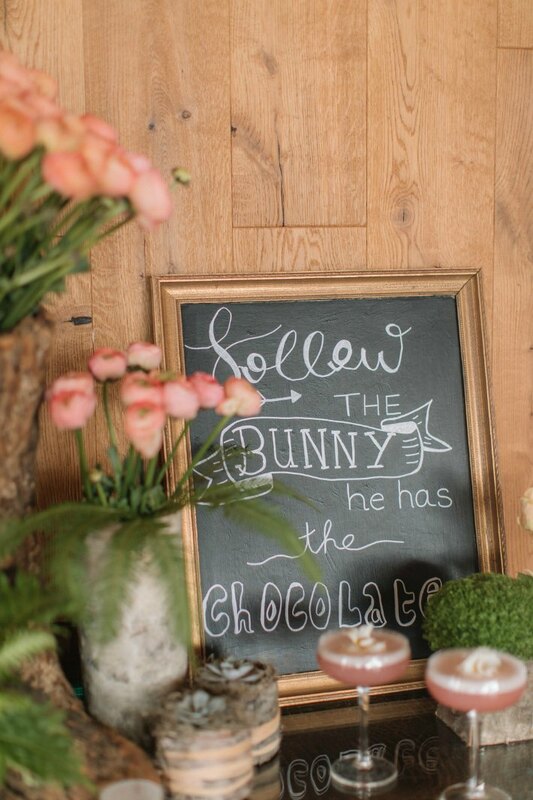 We are delighted with our enchanted Easter extravaganza however, for me the overwhelming memory associated with this shoot, is the wonderful scent of chocolate. Chocolate mixed with fresh earth and woody foliage; chocolate mixed with delicate blue grape hyacinths and lemony primula; chocolate mixed with the delicately scented snow flake flowers. 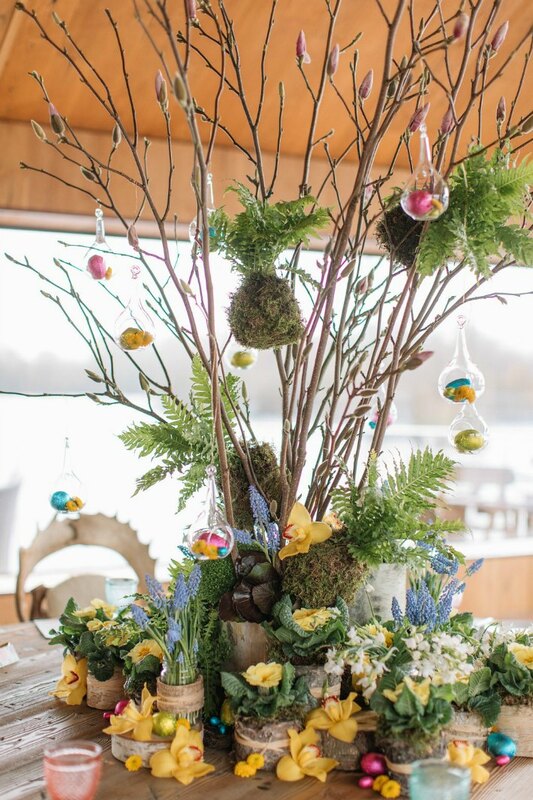 Always going above and beyond, Hybrid beautifully styled the venue… bringing the egg hunt to the table, they even tucked Easter eggs into the wonderful centrepiece! And we didn’t eat one! 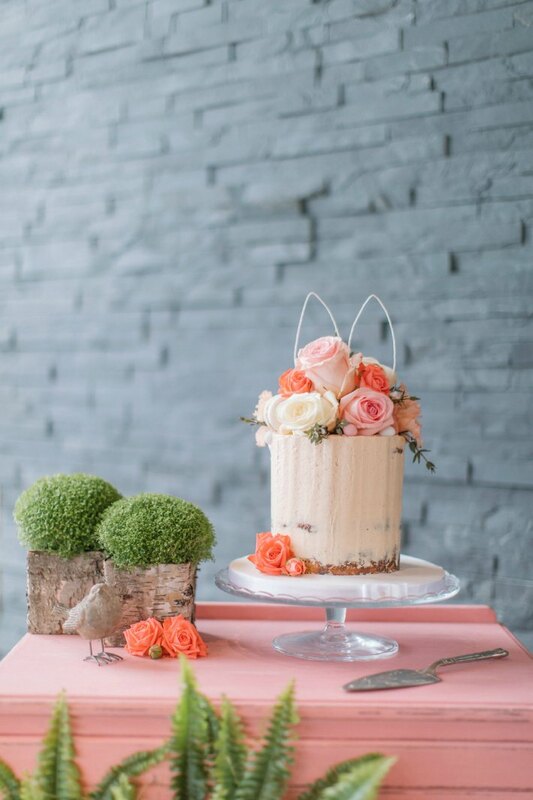 This amazing Monannie cake complete with hand made Easter bunny ears on the other hand…… well that’s another story!